Washington Post columnist Jennifer Rubin decided President George H.W. Bush's was the perfect opportunity to chide Republicans and the National Rifle Association for "smearing honorable public servants." 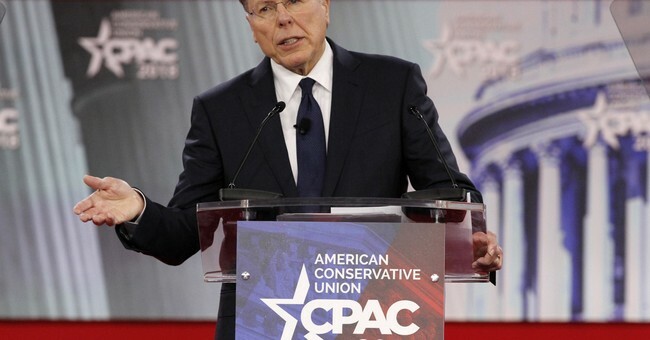 According to Rubin, the NRA – and specifically LaPierre – have continued to use the tactics President George H.W. Bush had issues with. "LaPierre has still been at it, as when he declared at the Conservative Political Action Conference (CPAC) that Democrats were nothing less than socialists who want to rob Americans of all their freedoms," Rubin wrote. You can disagree with how the NRA decides to launch their attacks on Democrats but you can't deny one thing: the very definition of socialism is to take away freedoms. The whole goal behind socialism is to make sure everyone is equal and the government has a say in everything an individual does. When Democrats say they want to place continual restrictions on our Second Amendment rights, that is taking away a freedom. And it’s not just the NRA, of course, that is in the business of smearing honorable public servants. Republicans — from the president to his lawyer to members of Congress to Trump’s parrots at Fox News — routinely insult, smear and simply lie about federal law enforcement (including the FBI and special counsel). The Republicans of 2018 refer to men and women who embody the phrase “law and order” as “stormtroopers,” “Stalinists,” “crooked,” “an embarrassment to our country” and “tainted.” Trump calls Robert S. Mueller III, a decorated Marine, former FBI director and now special counsel, “disgraced and discredited,” and his team of prosecutors “angry Democratic thugs.” The baseless insults hurled by GOP House members at the Justice Department, Deputy Attorney General Rod J. Rosenstein, the FBI, Mueller and the federal prosecutors who work with Mueller should make one’s skin crawl. Here's the thing: someone can have a decorated past and still make mistakes. They can still make the wrong judgement calls. Just because Mueller was a Marine doesn't give him a hard pass on every political decision he's made. He failed to properly investigate the Clintons. He's been on a witch hunt over collusion with Russia. Does his Military background keep him from being accountable to the American people? Absolutely not. To make such an argument is not just wrong but it's absurd. No one is questioning his patriotism, love of country or his service. What they're questioning is taking place right here, right now. It is possible for Americans to question politicians and those in the public eye, even if they've served their country. Sen. John McCain is the perfect example of that. There were a handful of people on both sides of the aisle who disagreed with him politically, but guess what? They still respected his service and the sacrifices he made in the name of freedom. And there's a distinctive difference between writing a blank check for freedom and writing a blank check for political gain. The truth is this: Absolutely none of this had to do with President Bush's death. Absolutely none of this is pertinent, especially not a letter from 1995. Trying to somehow link these various pieces of history together to come up with a coordinated attack on Republicans, the President and the NRA isn't just wrong but it's a disgrace to someone who calls themselves a "conservative."